At DLES we design, install and maintain solar photovoltaic (PV) panels and systems throughout Glasgow, Lanarkshire, West & Central Scotland and Edinburgh, from our offices in Lanarkshire. DLES are experienced installers of photovoltaic solar panel systems for the home, commercial and industrial environments. 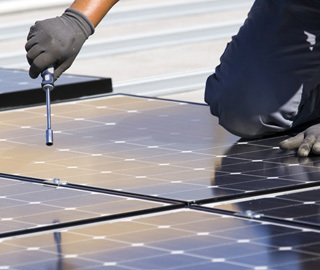 We can provide small domestic systems as well as larger commercial installations, whatever your solar panel requirements are, DLES will provide a quality and professional service. We choose from a range of solar power products to provide the most effective and efficient solar pv panel system for you and your needs. Our fully qualified team of designers, installers and certifiers deliver a quality solar panel installation at a competitive cost. As members of NICEIC you can be sure that your installation will be completed to the highest standards. As with all DLES services, we are happy to provide a free site visit and provide you with a quote to meet your individual needs . Our qualified solar pv installers will discuss and assess the most suitable installation for you and your property. 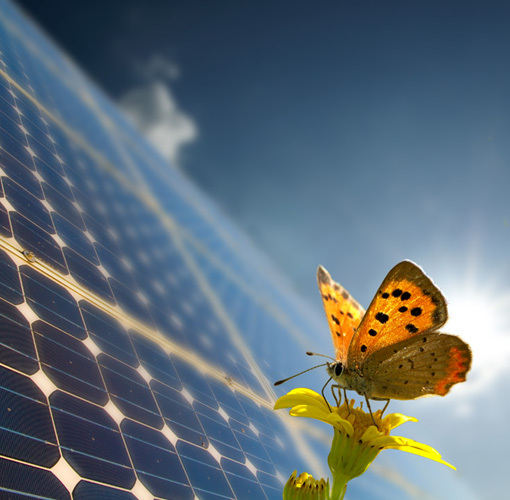 Why Use Solar Electric Panels? Guaranteed retail price index linked income for at least 20 years. Virtually maintenance free with no moving components. 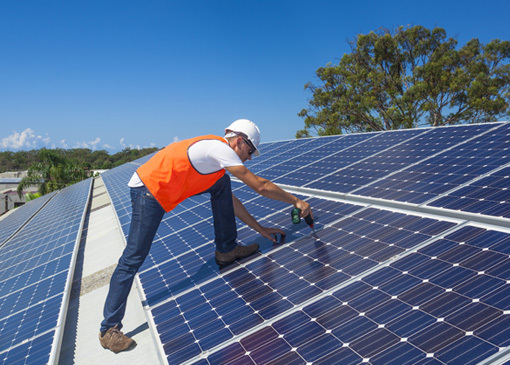 Solar panels are suitable for the smallest of properties to larger industrial units or farm buildings. Experienced qualified installers with full PV training. Only branded, high efficiency panels are installed. Solar Photovoltaic systems (Solar Panels) use energy from the sun to create electricity used to run household appliances and lighting . Using a renewable energy can save you money and help reduce climate change. Customers can access the Feed in Tariff for 20 years. This helps to reduce the payback time after which the solar panels will make you money for the remaining period. With the rising energy costs and the peak value for the Feed in Tariff, there is never a better time to consider a photovoltaic solar panel system. When sun light shines on a Photovoltaic / pv panel and an electric field is created across the cell and the electricity will flow. 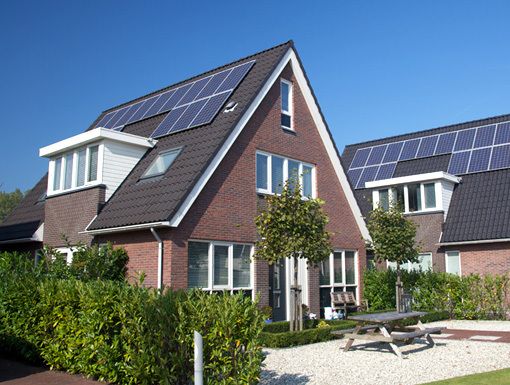 Q: Is my home in a suitable location for Solar panels? A: During our FREE SITE VISIT, we ensure your home is not overshadowed by trees or buildings. This can reduce the output of the system. Q: Do I need planning permission? A: No, but you should always check with your local authority for other instances for concern such as near-by conservation areas etc Q: Is my roof strong enough ? A: Solar panels and the mounting can be heavy, the roof must be strong enough to take their weight . We will make sure your roof is suitable during our FREE SITE SURVEY. Photovoltaic panels (PV Panels) convert the suns energy into electricity. The solar system then powers your home and exports any extra electricity to the national grid. The government have set up the Feed in Tariff to encourage people to generate their own electricity. The electricity that is produced from the solar panels will be metered and will evidence for claiming the Feed in Tariff. The money made will reduce the payback period for your initial supply and installation cost.